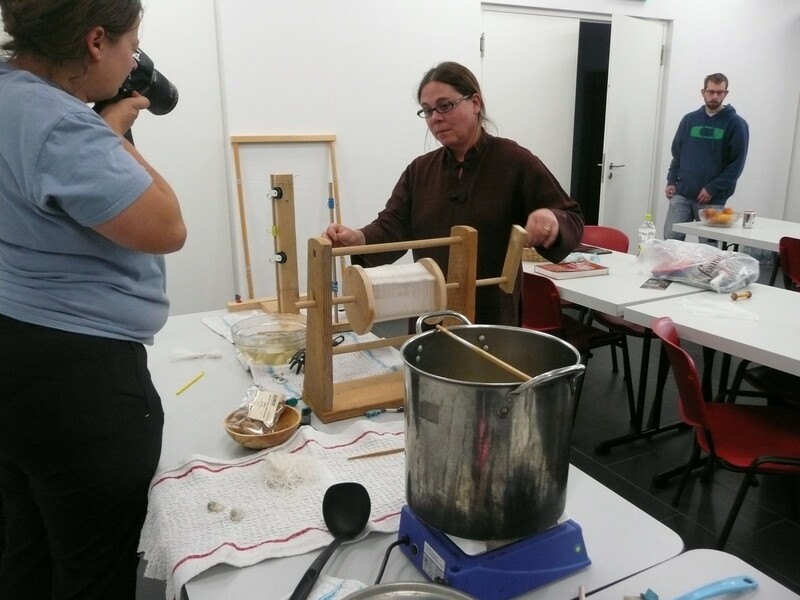 The European Textile Forum (Textilforum) was held between the 2nd and 9th November 2015, at the Laboratory for Experimental Archaeology (LEA) in Mayen, Germany. LEA kindly hosted the European Textile Forum as part of their inaugural event in 2012 and since then the Director Michael Herdick has invited the conference to return annually. LEA is part of the Römisch-Germanisches Zentralmuseum (RGZM) in Mainz and was founded to allow experiments in spacious surroundings. It contains modern replication equipment, including a forge, and new replicas such as a full-scale Roman kiln, based on findings from Mayen. The European Textile Forum has grown into its surroundings, making good use of the well-equipped laboratory, conference presentation hall, on-site accommodation and copious outdoor space. 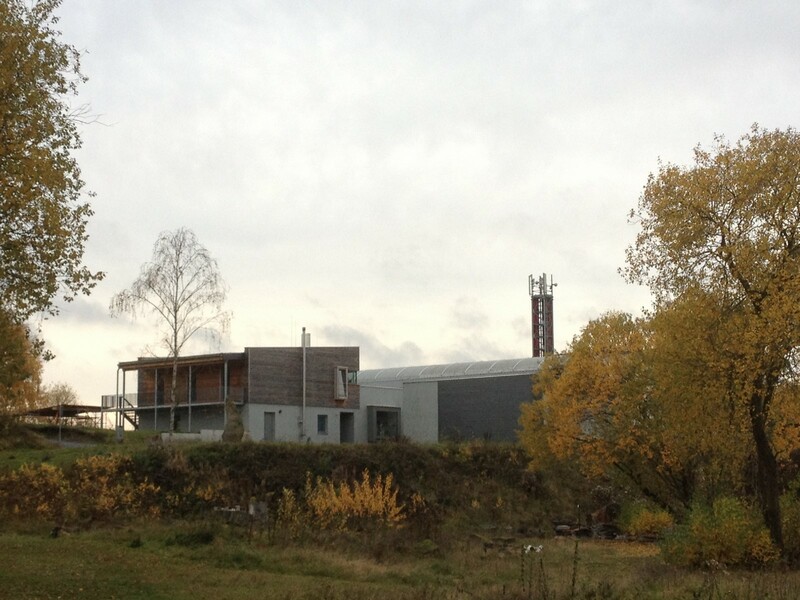 LEA is situated on a crest above Mayen, within a former basalt mine that is now a sculpture park. Above the mine lies a bat cave and former brewery. It is easy to reach by car or public transport. The event began with a well-received talk from Ruth Gilbert exploring the problems with current terminology and how definitions changing between practitioners skilled in different fields can cause confusion. The European Textile Forum is a collaborative meeting to enhance the dialogue between academics, conservators and craftspeople. These include Living History practitioners, experimental archaeologists, experienced enthusiasts and interested novices. 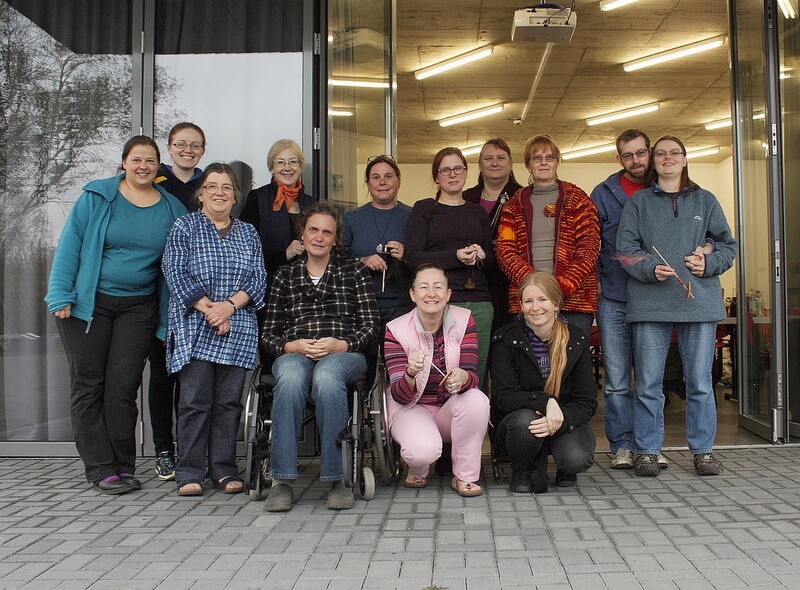 It is organised by Katrin Kania and Sabine Ringenberg. Ideas and findings are presented, usually according to the year’s theme, then are explored, critiqued and developed in a supportive, friendly environment. Equally importantly, academic presentations are coupled with practical workshops to increase hands-on experience and understanding of finds and techniques. In addition, the conference has provided the basis for several experiments, some of them on-going, long-term undertakings. The European Textile Forum is held entirely in English to widen participation. This year the theme was ‘Non-woven Textile Techniques’. The event began with a well-received talk from Ruth Gilbert exploring the problems with current terminology and how definitions changing between practitioners skilled in different fields can cause confusion. 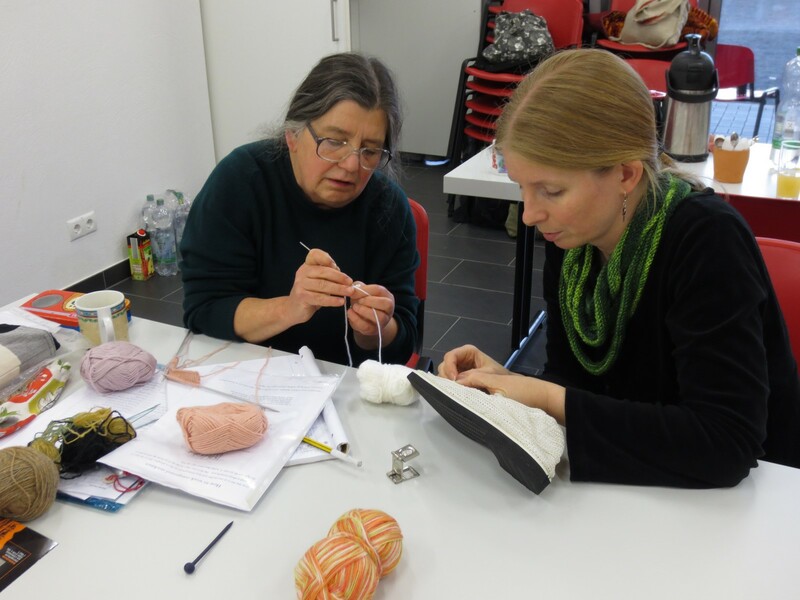 Following this, Anne Reichert presented a new technique to reconstruct a lime bast textile find from Lake Constance. 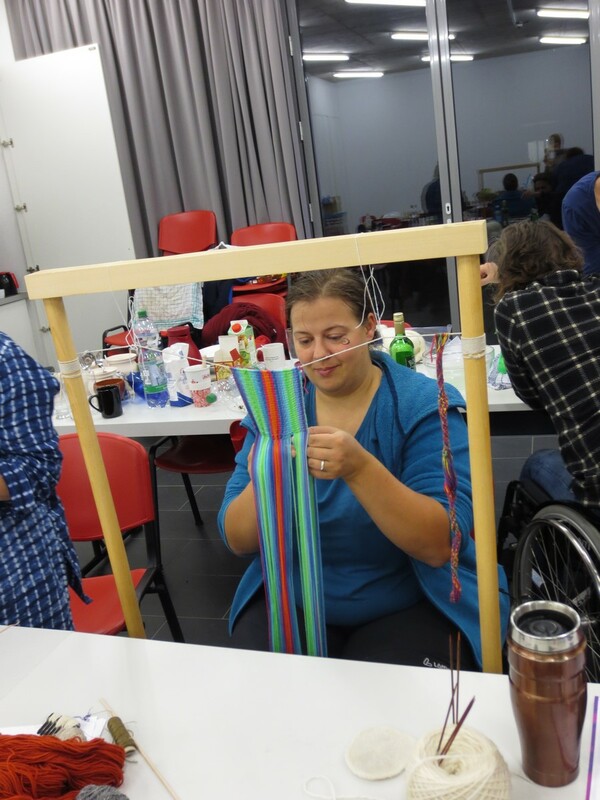 Petra Linscheid presented textile structures from classical Mediterranean and Near Eastern sites, challenging the assumption that knitting only began in the 11th century AD. This was followed by a practical session during which participants were able to attempt their own replicas. Harma Piening presented examples where nålbinding and knitting have been misinterpreted as one another. Throughout the week, reconstructions and workshops were carried out to further explore Ruth Gilbert’s findings. Heather Hopkins presented three ‘lightning talks’ on unpublished areas of research into Pompeii’s dyeing industry: the water supply, supply of dyers and the inaccuracies of site representation. Lightning talks are designed to present new findings within minutes, leading to wide-ranging discussions, which in this case took place with great enthusiasm. Beatrix Nutz and Rachel Case presented findings and reconstructions of garments from Lengberg Castle. This was followed by an in-depth discussion and practical tests of cut and fit, during which delegates volunteered as models. Examination of the tailoring techniques and a practical workshop on sprang and fingerloop braiding, techniques employed in the Lengberg garments, followed to complement the presentation. 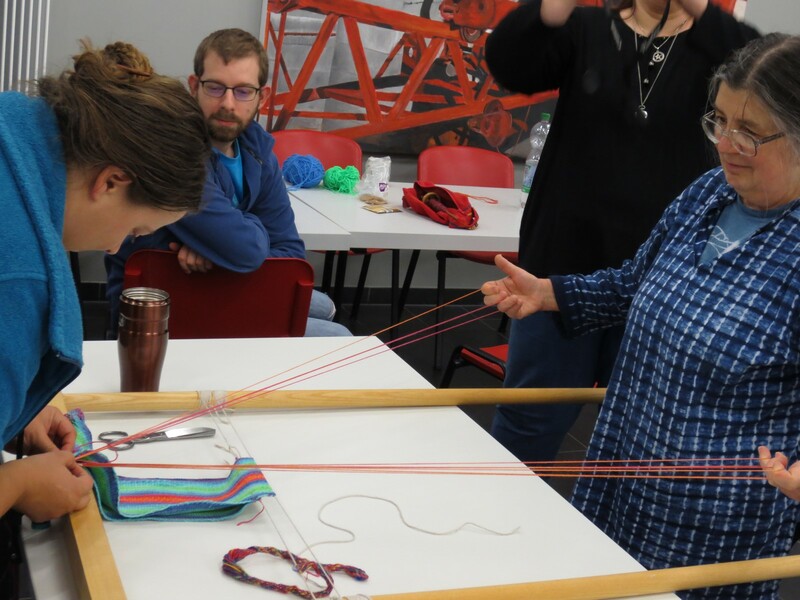 Micky Schoelzke and Ruth MacGregor presented a practical history of silk manufacture, including a hands-on workshop in de-gumming cocoons and reeling silk. Without practical experience, it is not always possible to fully understand a technique, including its advantages, limitations and the time it takes, and therefore, this was a very informative session. Jane Malcolm-Davies explored knitted caps and the development of knitting in the early modern era. Some participants had volunteered to attempt to recreate caps before the conference, so there was comparison and discussion about their results. Aislinn Collins presented about felted caps in Ireland and invited delegates to join her in a felt-making workshop, with assistance from Sabine Ringenberg. A heartfelt plea was put forward by Sabine Ringenberg when presenting her findings on mordanting substances in historical textiles. Although dyes from archaeological finds are reported and studied, mordants and mordanting tend to be neglected, which in turn influence the conclusions. 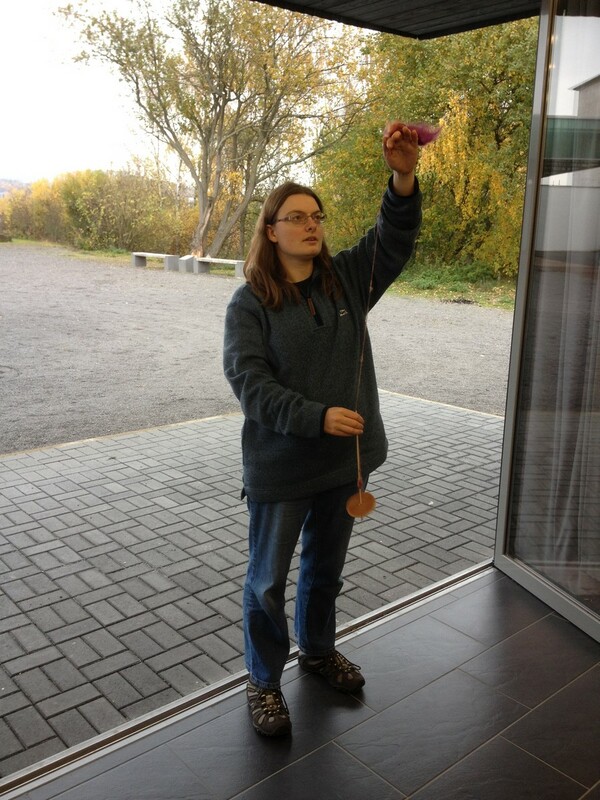 Sabine presented an overview of traditional testing methods and contemporary developments. 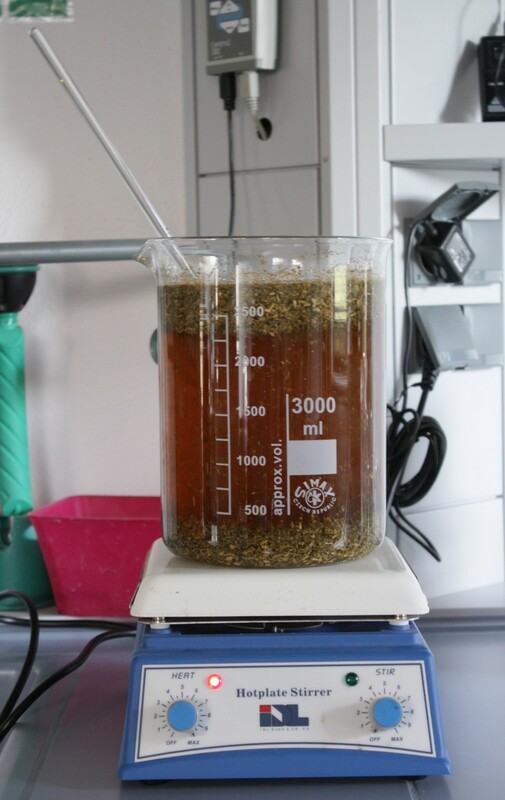 This led into this year’s main experiment, arranged by Sabine and Katrin, consisting of an investigation of the effects of the mordant with and without the presence of sulphur, when dyeing linen fabric. 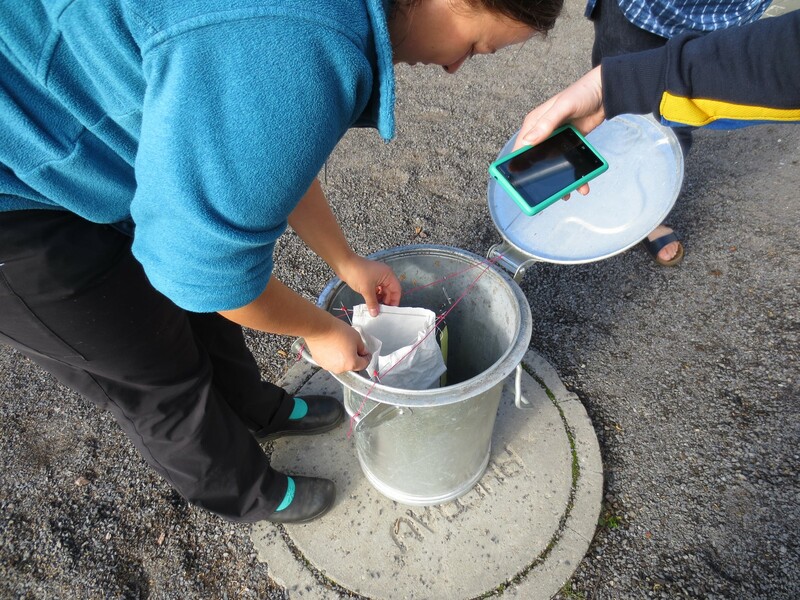 This was undertaken in the laboratory and the outdoor space surrounding the buildings. Results and findings will be discussed in context with the experiments undertaken at the European Textile Forum 2014. Delegates were able to learn more than just about textiles. Visitors to Germany from all over the world were encouraged to sample the local food and drink. The sculpture park was a riot of autumn colours: delegates enjoyed exploring the park and the local area. Starlit wandering meant that bats could be seen flying overhead. The European Textile Forum 2015 was a success. The 2016 European Textile Forum is planned to be held between the 7th and 13th November; more information on this year’s forum, including a Call for Papers, will be available on the website (www.textileforum.org) in due course. The first book of proceedings of textilforum, 'Ancient Textiles Modern Science', was published by Oxbow in 2013. The second proceedings is currently being edited.